Did you know that Google recently made a few big changes to the way they present their search results? It’s so important to understand that as pet sitters we are in the local service industry and lucky for us, Google is now placing a lot of emphasis on local search. Well, for one, you’ll want to make sure your Google Places listing (aka Google Local/Maps…) is up to speed. As you watch the video below, you’ll also see the importance of continuing to solicit online reviews from your happy clients. Send them a Welcome Home Email and direct them to review your service at one of the popular online places (such as directly on your Google local listing, Yelp, Citysearch, etc). 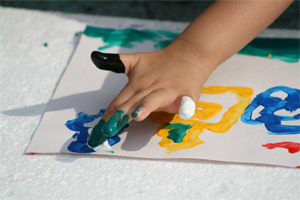 Also, the design, look, layout and feel – or the visual representation – is now crucial in landing more clients. Why? Because as this video shows, Google’s latest feature for web searchers is to offer Google Instant Preview. This gives users searching for your service the ability to view a screenshot of your website before deciding to click through to your site or not! Your potential clients can now make an instant decision whether to visit your site before actually visiting your site – just by seeing how your page looks! 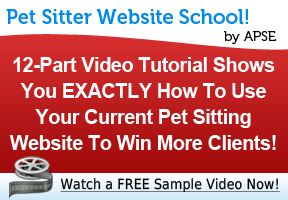 Watch this video now to see it in action, and to see how important the design of your pet sitting website truly is. Leave a comment below after you evaluate your own website screenshot in the Google results and let us know how it looks. Also, tell us how you think this feature may or may not impact your business. Interesting. Google was in my town and they interviewed the heck out of me and also had two people call me for 1/2 interviews later. I got $200 in free google places in adwords for my trouble. Wow, Julie. What was the topic or purpose of their interview with you? Were they looking for user feedback on something? Hmmm…We do have a Google Place page, but it is not showing up for some reason. Also, when I search Google, it does have the “instant” function but the website preview is not working. Any ideas? Joe, do you see the magnifying glass and the images are just not popping up, OR do you not see the magnifying glass at all? Regarding your map listing, how long have you had created? Josh – They first just interviewed me in person about my likes/dislikes on using google adwords. I used to love adwords when I was just trying to get my business and website really going…4 years ago. Clicks were only around $1 at that time and I gained a lot of new business. There were no franchises and not many pet sitting businesses that even had a business at the time though. I stopped using adwords for a couple years and when I went back the clicks were $2-$5! So, I quit using it and focused on free SEO. After the interview, I had one person from the Places department call me and one person from another depratment wanting feedback on an unrelated website. I got $200 in free adwords and a $50 American Express cash card for participating. Places is frustrating. They base it on your address. Since I live on the outsquirts of town, away from the center of the city, I do not show up until the third page. But, with the new features as shown in Josh’s video, it shows up under my Search listing….the new way is more fair I believe. But, at the google seminar they actually told me you will show up based on where google determines the city center is. Further away is less relevant, thus you will show up lower on the list. Does that make sense? Josh – while I’ve seen the features you described a few weeks ago, they are not showing today. Weird. 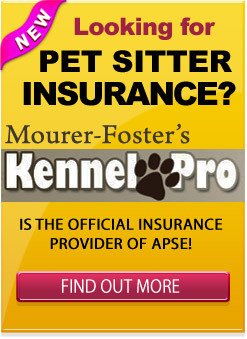 When you google Boise Pet Sitters, do you see the features described in your video? There is no magnifying glass on the search results, only the star. I created my place page several weeks ago (6-8), but did not have my address listed, only service area zip codes. I think that may be the issue, so I changed my profile to show my address, although I’m not really happy with that. I really think my service area is more important than my business (and personal) address. Joe – I agree…I don’t want people stopping by my house…lol. Do you live close to the center of your downtown area? If so, this could be to your advantage I believe. Julie, I do live in our service area, so the center of town would work well. Do you know how I use that insead of my address? Unfortunately, it goes by the address…that was my understanding anyway. Bummer for those of us who work out of our homes, but you’ll probably rank higher. I hope I’m not giving you bad advice! Joe – what is your website address? Joe – I could not find you on Google Places at all. Are you signed up? Thanks Josh! I found it now. Josh, thanks for the video. That was how I originally had my places page, service area only. I just changed it to show my address to see if that helps. I’ll let you know. Awesome information Josh, I wonder if this affects those on ad-words?